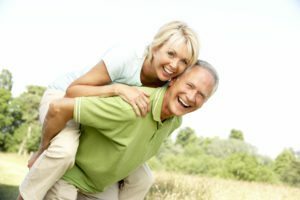 What is Long-Term Care in San Diego? • Long Term Care (LTC) is personal care and related services provided on an extended basis when you are unable to perform functions of daily living due to illness or injury, or if you need supervision due to severe cognitive impairment. • Long Term Care may involve assistance with such physical activities as dressing, bathing, toileting, eating, mobility, etc., or it may involve supervision and care because of memory loss from dementia or Alzheimer’s disease. • Long Term Care provides assistance with your activities of daily living at home, in assisted living, or in a skilled nursing facility, and is different from medical care, provided by a nurse, doctor or hospital. What types of Long-Term Care Services are available? Aides can come into your home, but these costs are not usually covered by ordinary health insurance policies and Medicare. These expenses can quickly deplete your nest egg, no matter how much you’ve saved. This is when long term care insurance can help. Long term care insurance (LTCI) can help cover the cost of care you receive at home from nurses’ aides, home health aides and therapists. It can help cover services in an assisted living facility and, if you require skilled care, nursing home expenses can be covered. It helps you maintain your dignity and financial freedom and gives you the flexibility to participate in making choices that impact your care — about the services you receive, where you receive them and who provides the care you need. Nursing homes give residents skilled nursing care 24 hours a day, along with medication monitoring, rehabilitation and physical therapy, room and board and personal care and supervision. Based in the community, adult day care centers provide daytime supervision, giving family caregivers much needed assistance. Along with social activities, they may provide health services and therapy. Assisted living facilities (or residential care facilities) can provide personal care and health services when you need assistance with activities of daily living, but not the level of care provided by a nursing home. Assisted living is an intermediate level of long term care, not an alternative to a nursing home.